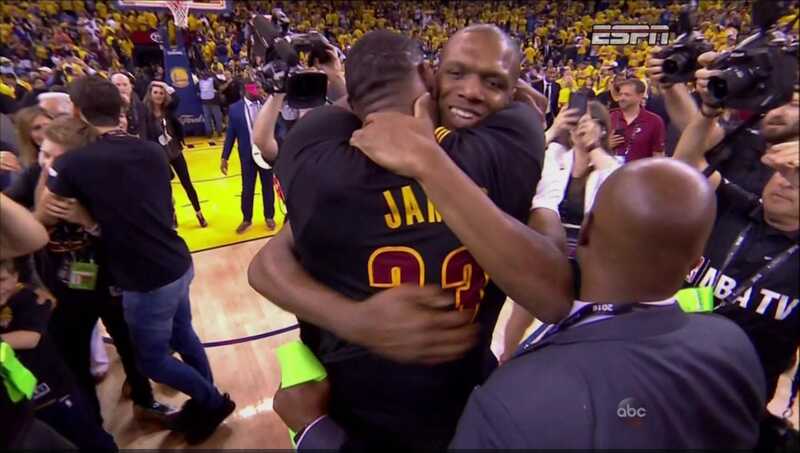 The Cleveland Cavaliers are NBA champions, winning the first championship for the city of Cleveland since 1964. The Cavs pulled off the impossible, becoming the first team in NBA history to erase a 3-1 NBA Finals deficit. They won Game 7 in Oakland on Sunday night, 93-89. In an exciting back-and-forth game, the Cavs erased a 7-point deficit at halftime. LeBron James led the way with a triple-double — 27 points, 11 rebounds, 11 assists. He was named the 2016 Finals’ most valuable player. Kyrie Irving added 26 points for the Cavaliers. The Warriors were led by Draymond Green, who was suspended for what turned out to be a critical Game 5 in the series. On Sunday, Green had 32 points, 15 rebounds, and nine assists, keeping Golden State in the game at stretches with 6-of-8 shooting from beyond the 3-point line. Stephen Curry had just 17 points on 6-of-19 shooting from the field. For the Warriors, it was a disappointing end to a season in which they set the record for regular-season victories in a season.